1. How did you come across the Piasentina stone and why did you choose Iaconcig? MP – I have known the Piasentina stone for a long time and I have used it occasionally in a few interior design projects in the past. However, I recently had the opportunity to find out more about its quality and its capabilities with the help of Carlo Tuzzi, the great expert of materials who works with our studio. As for Iaconcig in particular, we have an intense working relationship with the company. They created with us and for us a very interesting range of research on how to use and work the Piasentina stone. In true Friulan tradition, the people at Iaconcig make it easy to interact with them, they are pleasant to work with and are ready to offer concrete and trustworthy support when developing a project. 2. What are the features of the Piasentina stone that you appreciate the most? MP – Piasentina stone is a really versatile and highly expressive material. It is, in my opinion, a strongly “architectural” material. Its appearance communicates a feeling of great strength and monumental stability which is, however, tempered by the ability of the stone to express refined vibrations and texturing. The intrinsic nature of the material, its stylish shades, its characteristic veining, make it more than capable of being used virtually everywhere, from large urban-scale projects to architectural and interior design applications, including product design itself. The Piasentina stone allows you to make piazzas, buildings, interiors of any kind. Even specific products. 3. Why would you use Piasentina stone for a contemporary architecture project? MP – This is a particular area that I’m very interested to develop with Iaconcig and investigate how we can get the best out of a natural material used in a systematic and repetitive manner, but without losing that content of uniqueness and poetry that sets it apart. The Piasentina stone is a perfect material for an architectural project because it can provide a sound interpretation to its volumes and surfaces. With its sophisticated and changeable chromatic textures, it is also able to interact with natural light in a totally unique manner. Whether you are using random or regular repeating patterns, this stone provides interior and exterior backdrops with precious surfaces and a unique tactile and visual experience. All the other elements of the architectural composition, including staircases, steps, cornices, moulding, fascias, etc., can therefore be made with great details and refined aesthetics. 4. What advice would you give to architects or designers who want to use the Piasentina stone? MP – First of all they should familiarise themselves with the physical, chemical and mechanical properties of the stone. Then, they should work together with an experienced supplier to investigate how they can best use the Piasentina stone in their own practice. 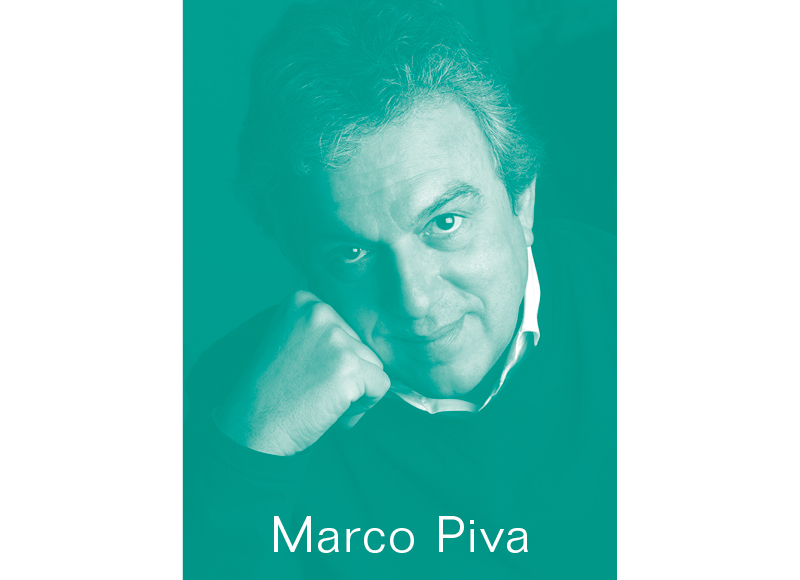 Marco Piva: Architect, designer and lecturer, Marco Piva was one of the founders in 1977 of Studio Dada, one of the most representative practices of the Italian Radical Design period. In the 80s, he opened the Studio Marco Piva, based in Milan and with offices in Dubai, Saint Petersburg, Moscow, Mumbai, Beijing, Shanghai, Doha, and Los Angeles. A traveller and a designer, Marco Piva identifies innovative factors for his research work in the culture and tradition of design, as well as in production systems delivering excellence.